The record for this photo of the Custom House by Frank B. 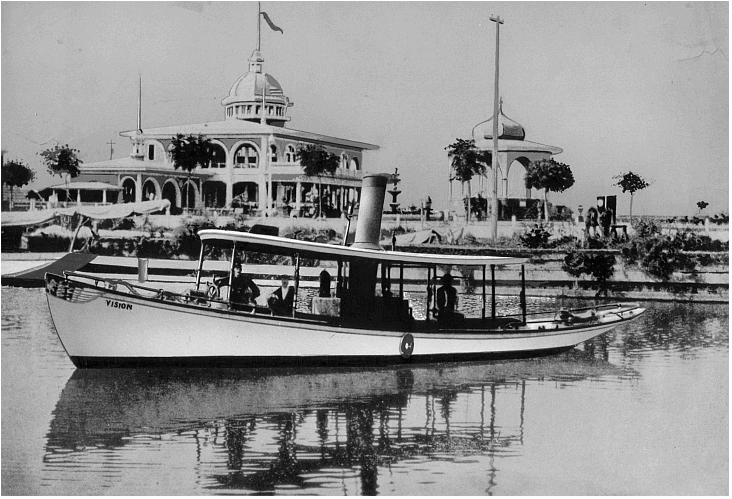 More (in the University of New Orleans collection) is undated, but the streetcar narrows it down a good bit. The Ford Bacon, & Davis single-truck streetcar has “NO Ry & L Co.” painted on its side. This stands for “New Orleans Railway and Light Company”, the second attempt at consolidating streetcar operations in New Orleans. The company was formed in 1915, and eventually became New Orleans Public Service, Incorporated, in 1921. 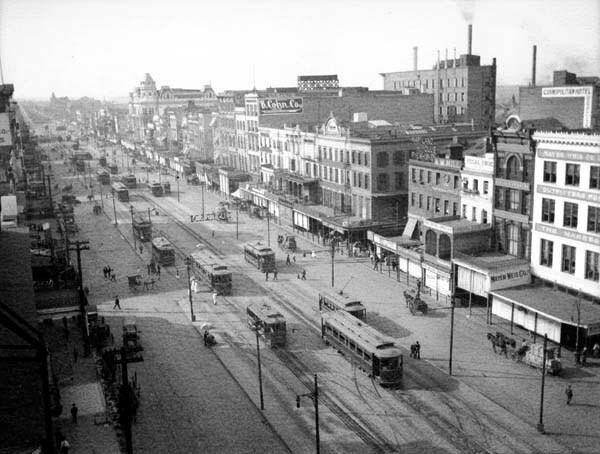 The FB&D streetcars were the workhorses of the “backatown” lines at the turn of the century. While the larger, “double-truck” streetcars ran on the larger lines, such as St. Charles and Canal, the smaller “single-truck” cars spread out into the neighborhoods. Their smaller size enabled them to navigate turns on streets that would dramatically slow down the larger cars. At this time, the Custom House was undergoing extensive interior renovations. The building originally housed the federal courts for New Orleans, but what is now the John Minor Wisdom Building on Camp Street, by Lafayette Square, was just completed. 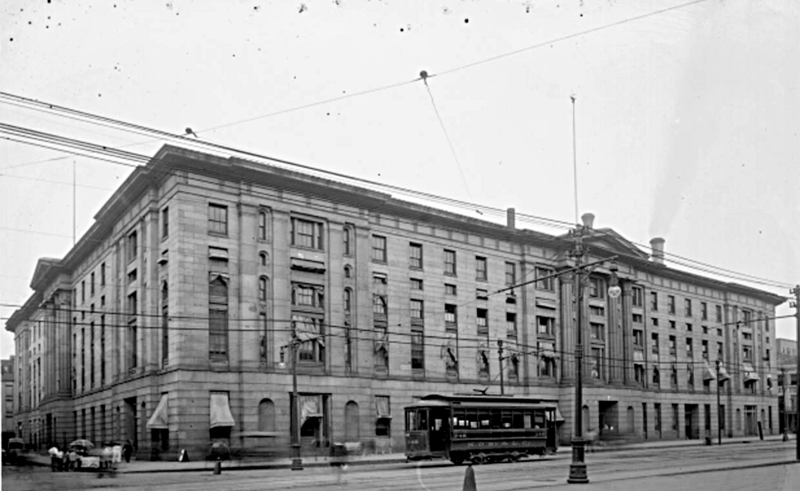 The federal courts and the Post office moved out of the Canal Street building, over to the new location. Another interesting aspect of this photo is the street vendor to the left, on Decatur Street. Unlike in the movies, I don’t have the technology to “clean that up”, and miraculously read the sign on the cart, to determine what he’s selling. Given all the federal employees that worked in the Custom House, I’m sure that cart did a brisk lunch business. The easiest way to date most old photos is to look at the make and model of any automobiles in the photo. In the absence of automobiles, however, it can be a challenge. 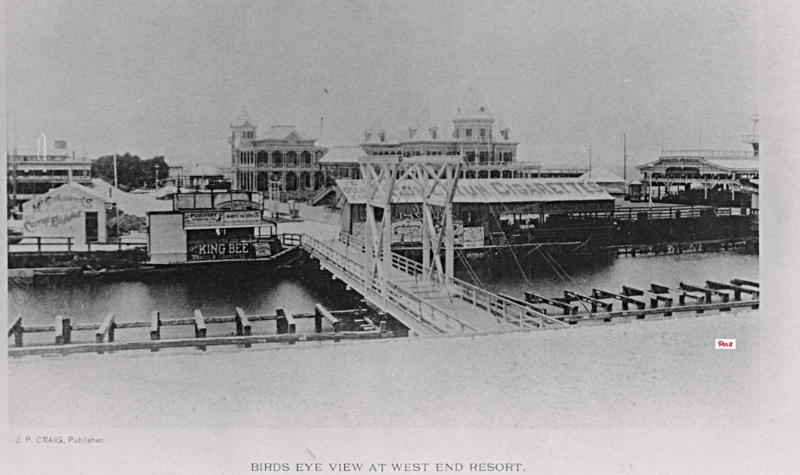 Streetcars were used for decades; the FB&D in this photo likely arrived in New Orleans and went into service in 1894-95. Since the iconic Union Sheet Metal light poles, with their three fleur-de-lis lamps are not visible, we can at least establish that this photo was taken prior to 1930. But the streetcar itself helps anyway for this one, because of the company name. This photo is also in my book, New Orleans: The Canal Streetcar Line.